Product images from our website may be used for print and online advertising. Right-click on the desired image and select "save as" to save a copy of the image into the folder of your choice. Please note, due to legal contracts, images may not be altered in any way. Decorations must be pictured on a bakery product; never alone. Characters and logos cannot be used (i.e. Nickelodeon Logo). Generic font such as Times New Roman must be used for ad copy (i.e. Winnie the Pooh Cupcakes $2.99). Account name/logo cannot be associated with the licensed product in terms of the ads content and physical layout (i.e. 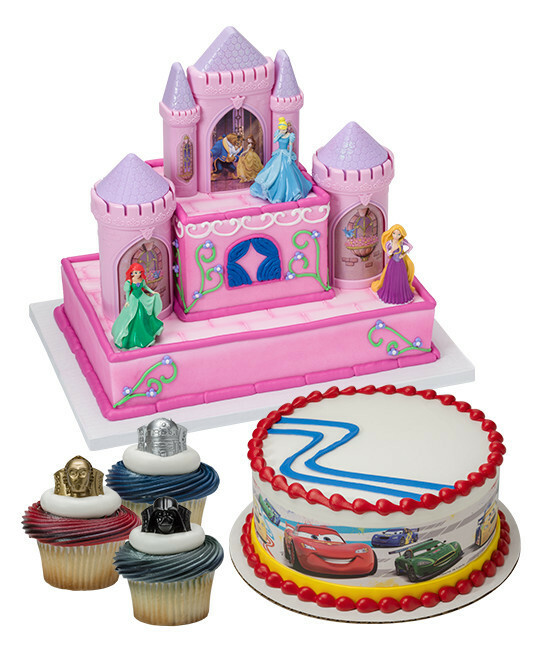 cannot state "Disney Cakes from Joe’s Bakery"). Ad cannot be associated with or in proximity to "Non-Child Friendly" products such as alcohol, cigarettes, cleaning solutions or pharmaceuticals. A copy of the final ad must be sent to info@decopac.com to keep on file for the Licensor/owner of the specific character featured. A request to advertise Professional Sports products must be sent to DecoPac for approval. Please send an email address to danna.dueck@decopac.com. Legal copy must be included in the advertisement (i.e. ©2017 NBA Properties, Inc.). This information can be obtained by sending an email to info@decopac.com. Decoration(s) must be shown on a bakery product, never alone. Team logos may not be used (i.e. Yankees, Bulls, etc.) unless on an officially licensed product. League logos may not be used (i.e. NFL, NBA, NASCAR®) unless on an officially licensed product. Generic font must be used for ad copy (i.e. Lakers Cupcakes $2.99). Account name/logo cannot be associated with the team or league in terms of the ad's context or physical layout (i.e. "Lakers Cakes from Bob’s Bakery" or "Bob’s Bakery Bengal Cakes"). A copy of the final ad must be sent to info@decopac.com to keep on file for the Licensor/owner of the specific team featured. 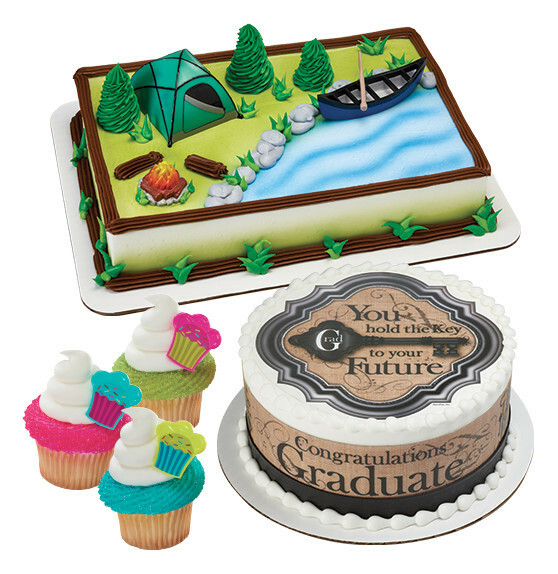 All product designs, cake designs, and associated images/photos are owned and copyrighted by DecoPac, Inc. 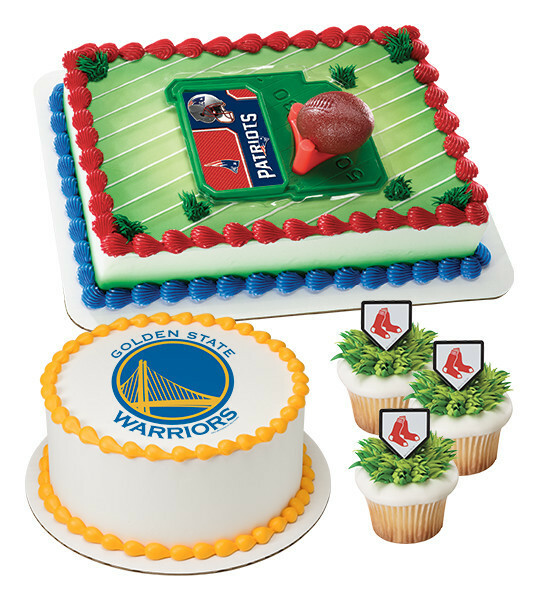 Upon purchase of DecoPac products, Customers may use the associated images/photos only if the following copyright notice appears with the image/photo: ©2017 DecoPac, Inc.
Any other reproduction or representation of DecoPac’s original cake and product designs or Licensors’ intellectual property without prior written authorization from DecoPac, Inc., is strictly prohibited.